Hillhurst and Sunnyside residents are actively engaged in their community and keeping them informed is our top-priority. 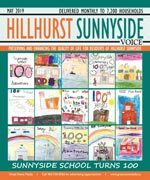 Hillhurst Sunnyside Voice is the official community newsletter, and covers community news and is published monthly to keep content current and relevant. Delivered to every household, apartment, and business, every resident is acquainted with the community’s most important information. The Hillhurst Sunnyside Community Association (HSCA) serves the communities of Hillhurst, Upper Hillhurst and Sunnyside in Calgary, Alberta, Canada. The HSCA’s mission statement is “to preserve and enhance a healthy and vibrant quality of life for the residents of Hillhurst-Sunnyside”. Sports are another important aspect of the community. The soccer pitches, ball diamonds and tennis courts in Hillhurst Athletic Park are well used by local children. In the winter, indoor soccer in the community association gym is well attended. The Bow Valley Lawn Bowling Club, which has been established in the community for decades, attracts adults of all ages. In the City of Calgary’s 2012 municipal census, Hillhurst had a population of 6,291 living in 3,557 dwellings, a 6.4% increase from its 2011 population of 5,914. With a land area of 2.1 km2 (0.81 sq mi), it had a population density of 3,000/km2 (7,760/sq mi) in 2012. Residents in this community had a median household income of $50,822 in 2000, and there were 18.6% low income residents living in the neighborhood. As of 2000, 15.3% of the residents were immigrants. A proportion of 48.2% of the buildings were condominiums or apartments, and 56.2% of the housing was used for renting. For more detailed info visit the City of Calgary community profiles.